My mother was a big reader. I got my love of books from her. Even after she started to have trouble speaking – one of the earliest symptoms of her Alzheimers – I was determined to keep that going as long as I could. 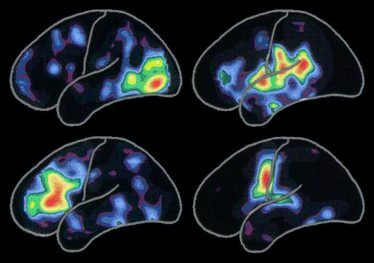 I didn’t know at the time that language is processed differently in different parts of the brain: hearing words lights up one part of the gray matter; thinking about words another; reading words another; speaking words a fourth. Except for my mother, sub Chardonnay for the scotch, and peppermint Lifesavers for the cigarettes. At first I would find out what my mother was reading and get the same book, and we would talk about it over the phone. We read A Tree Grows in Brooklyn together that way, and To Kill a Mockingbird, and My Antonia. The first went over best. At the bookstore, my sister began helping her make book choices, as she would have a very hard time making decisions. Particularly ones that involved spending money, which she was certain she never had. This drove my father crazy, as if it were a personal insult. 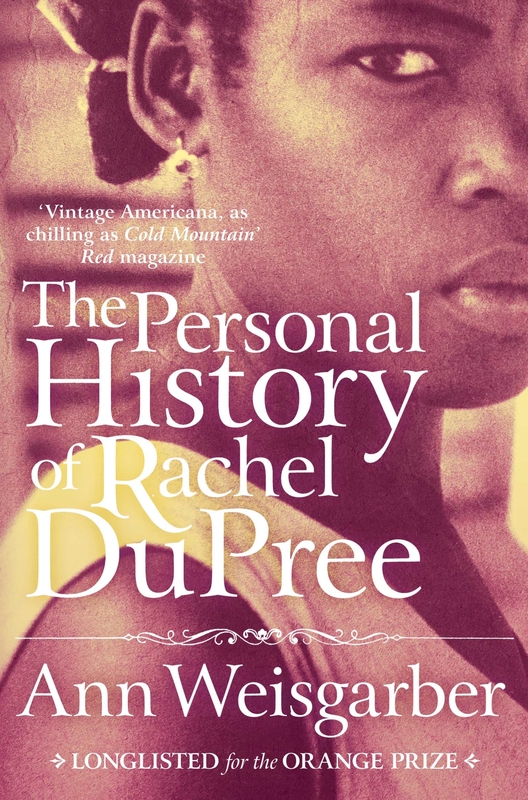 The last such book I remember reading with her was Ann Weisgarber’s The Personal History of Rachel Dupree, a novel about African American homesteaders in the South Dakota Badlands in 1917. I was very impressed by this book, and its depiction of the effects of racial and gender inequity on very real people whose personal characteristics prove strengths in some circumstances and liabilities in others. Marriage is a complicated partnership. Issac Dupree is a proud man, willing to work himself (and everyone else) into the ground to prove he is equal to – or better than – the homesteaders around him. He loves his family. But Rachel Dupree is also the wife that allowed him to apply for twice the acreage, and the womb that produces the labor that will eventually run it. To what extent do we love the people we love, and to what extent do we use them to serve our own needs? It was a delicate balance in 1917. It is a delicate balance now. The thing was a snake, lurking in the dank and the dark. Its red eyes glowed like coals. My visit last October was planned, but the situation was not. I wanted to make sure I got in one more trip before the end of the year. Thanksgiving or Christmas might have seemed logical, but my own adult children are here in Minneapolis, and we need holidays too. Besides, my mother and I were finishing a book. Christian romance novels and are not my favorite cup of tea. Though there are a lot of cups of tea in them. My sister had picked the first book, thinking my mother would like it. She was right. We were now on Rose Harbor in Bloom. From Debbie’s “fan retreat” page. It took place in 2013. Sadly, we missed it. Like the other books, I tried at first to get her to read chapters on her own so we could talk about them, but that wasn’t working. First she’d forget what she’d read. Then she’d just forget to read. It had been months, and we were only on page 20. “I’m going to bring my copy when I come, Mom,” I said. “We’ll sit on the back porch and read it together.” And we did, out loud. First I took a page, then she did. She barely talked now, but her reading was still almost fluent. Though she’d hesitate over hyphenated words, and sometimes sound words out wrong or act a little dyslexic, mostly it was all still there. We’d made so much progress during my visit that I told my mother we’d try to finish the book reading together, over the phone. My father didn’t think it would work, but it did. “It’s like a miracle,” he said. “Do you think she understands any of it?” I thought she did, though she forgot what she read almost immediately, and often would lose her place. But it really didn’t matter. She was doing something she enjoyed. We had three chapters left, and I was stretching the phone calls out so we could finish it in person and get a good start on the next. A week before my scheduled arrival, my mother had a fall. My sister and my father were in Rochester, where they were taking the tubes out of his tear ducts, the ones that were supposed to help with his watery eyes. My brother was taking my mother out for a short walk, something my father was simply unable to do. It was a fine day, as was the walk, until the return lap. When you are tired, you stop picking up your feet as much; you begin to shuffle. That’s when most of us trip. When it happens to people with Alzheimer’s, however, they don’t have the quick reflexes to recover. They lose the instinct to reach out and grab an arm, or to try to break a fall. She went down flat on her face. There was blood all over the road. My brother called 911. My mother was in the hospital a week and acute rehab for another two. Her nose was broken, and both eye sockets were fractured. There was bleeding on the brain, not uncommon in a fall with Alzheimer’s. The brain has shrunk. It rattles around. I had already been scheduled to come out, and was there for the first week of rehab. She cried when she saw me. I think I cried too. Called me by name once or twice, without any prompting at all. This was unusual. At one point she said, clear as a bell, “You colored your hair.” Most of the time, she spoke word salad, like a baby talking into a toy telephone. I tried to get her to read a little bit, but she couldn’t track more than two or three words. Her finger would skim along the lines like a bird hunting over a pond, ducking down once in awhile to retrieve a fish. I read her the last three chapters, got the couples mostly all hitched, set the scene for the next book in the series. The one we’ll never read. But thanks, Debbie. We’ll take the happy endings where we can find them. I loved it. Thank you. My sunny beautiful morning started with your story. I would enjoy my ride on the bus and may be learn Italian too, but here I’m smiling and thinking about life spining. There are just some times/occasions when only a happy ending will do. I hope you can have many more with your mom – be they imaginary or not. Thanks, Jan. I hope so too. I have very much the same experience with my mother now. She was a teacher, and I grew up with books. Now she’s 90, lives in a care home, and speaks word salad. Sometimes she knows who I am but she can’t say my name properly. I miss her, but I am grateful for what I’ve had. Thanks, Julia. Yes, I’ve heard about your mum through Terry (who is, i believe sometimes, your mum’s sister Angela?) You have the right attitude. If anything helps, that does. This brought a tear to my eye….beautifully written and so poignant. Thank you, Carol. Originally it was part of a much longer story I told in October at Prompt, which features “stories based on, inspired by, or tangentially related to classic works.” I drew the Book of Job. I wasn’t entirely satisfied with how that turned out as a complete piece, so the only blog post that resulted from it was aimed at #FolkloreThursday, but there were several sections that chronicled turning points I’ve needed to go back to as I try to describe the state of things for my parents now. Thank you Sarah. Some things are tough, and worth our tears. Oh, this broke my heart. So beautiful, and so sad. At the end of my mom’s Alzheimer’s, my sisters and I would read picture books to her. She still loved the act of reading, but couldn’t hold too many words together, so picture books, especially ones little kids read with farm animals or woods animals, made her happy. I hope you get to share many more good moments with your mother. My mom is beyond reading now, but when I was home the time before last, in January, I discovered that all those coffee table books we kids got my parents when we didn’t know what to get them – the Norman Rockwell Saturday Evening Post Treasury, the Audobon Society Illustrations – were suddenly very useful. My mom loves the pictures that seem to tell a story, especially if they have cute children in them, and she’s always loved birds. I’m crying here, reading your words. Some of them are happy tears, because that love of books just doesn’t quit, no matter what. 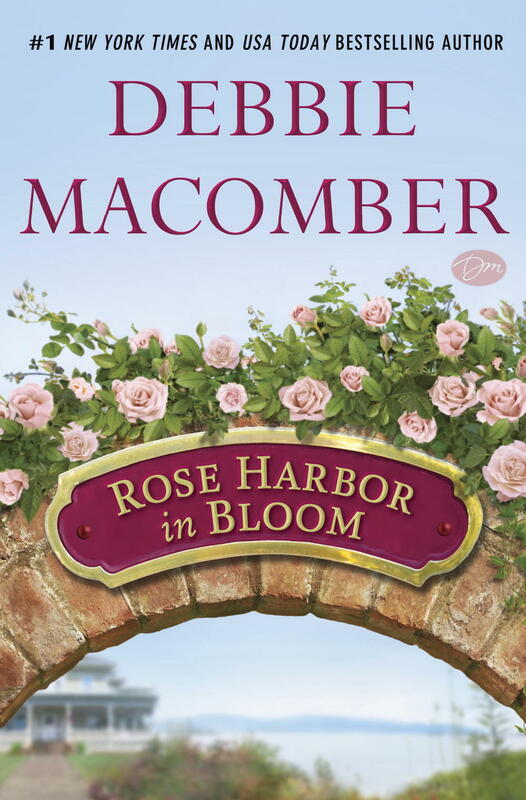 As light as the formula seems, there’s something comforting about Debbie Macomber. I read her books during chemo. Well, before I would fall fast asleep during chemo. It felt like curling up in a favorite chair, and I hope that’s what it was for your Mum, too. Love and light to you! That’s a lovely observation. Back when we were reading the most recent book, there was an older couple in it who were preparing for a celebration of their 50th anniversary. Their granddaughter was planning it, and all they did was fight with each other the whole time because they were tense about the whole thing. Well, my father can be a bit cranky [understatement], and the fact that these two were arguing to beat the band but made up in the end provided some necessary comic relief for her. So yes. Paula, your words are beautiful and are a tribute to the love you and your mother share. I’m deeply honored that Rachel Dupree was one of the books the two of you read together. My mother also lost her memory and her ability to read. To comfort myself as much as me, I read to her. The power of the written word is a gift that can’t be measured. I wish you peace and endless stacks of books at every turn. Thank you so much for stopping by Ann. I, too, am deeply honored. What is hard to explain without context is my own felt connection between the inequity between Rachel and Issac and the inequity in my parents’ relationship. For very different reasons, but wounds are wounds. I sometimes wondered if my mother felt it too. Again, I thank you for such beautiful and authentic writing, and look forward to more. I read all your posts about your parents with the same sense of wonder, Paula. You’re able to capture it all so poignantly and to see the beauty in these difficult situations. Thank you for sharing. Well, another Mary – Mary Oliver – is forever asking me if I’ve finally figured out what beauty is for, and have I changed my life. And I guess this is part of the discovery process. Instead of reading, I tend to take some of Mom’s things in for her to enjoy, since we are in the process of clearing out her place and distributing her things to her kids and grandkids (at least those that actually want some things), and since my sister and I are in charge of all of that, our visits with Mom are often more business than pleasure. But she does enjoy seeing her belongings — and almost never wants them left with her — and I’m wishing we’d been more diligent in collecting the stories behind her treasures while we still could. The stories/memories are more jumbled these days, and since Mom realizes this we try not to ask too much. I am not looking forward to the “word salad” stage, because my heart will break a bit more, but I am encouraged that there are ways to connect even once that stage hits. I like your parents. You share them well. And I am grateful. and I am sorry my responses tend to be wordy. Please let me know if I should cut down a whole lot. Aw golly, Diana. Anybody who likes my parents, and is willing to share their own, can write here to their heart’s content. those words are a gift, Paula. Thank you! Oh, Paula. You are a beautiful writer, always…but most-so when you write about your Mum. This is a bitter-sweet post. You clearly have a strong connection, you and your Mum, love always finds a way, I think…in your case, through reading…How special is that?! A beautiful read, Paula. Thank you! Thank you, my dear. I am touched. Did I see on Facebook that you’d become a grandma? Congratulations! Your compassion and love for your mother flows with every word you write. You touch her heart and you touch ours with your stories. Nothing to say that hasn’t already been said here, but thanks. You write so movingly about this difficult area. Thanks, Anne. I am spending less time on social media these days – the job and recent events with the fam – and have missed seeing you about. Also looks like I scheduled a #FridayReads tweet for Thursday. Oops. This essay moved me greatly, Paula. Thank you so much for sharing your stories here – I feel privileged to have the opportunity to read them! Sending you and your mother (and your dad, too) virtual hugs of support and strength. Thank you, Jennifer. Virtual hugs are always good – and my father in particular needs them now more than ever. Thank you for this post, Paula. Your parents are in a hard place which puts their kids in a hard place. No one can save anyone, but you show up which seems the best we can do. I’m glad you can be with your mom. I’m sorry about her fall and about how lousy your brother must feel about it. My husband’s mom falls constantly now. Some days she looks like a prizefighter, but no broken bones so far. I’m visiting one of my sons now. My deafness and tendency toward inner ear vertigo make me feel like the little old lady who needs care. We’re talking about where to build a tiny house that’s handicap equipped for “later.” Whenever later is. I hope they’ll read books to me even if they aren’t interested in them–ones with happy endings. Thank you, Elaine. In truth as you know (since I have been more forthcoming on Facebook about recent family issues), the place, and its hardness and softness, is shifting constantly. So much so that I am having a hard time processing it at the speed of blogging. Eventually I hope to catch up. Hugs travel far, do they not? I appreciate your kindness, Norah.